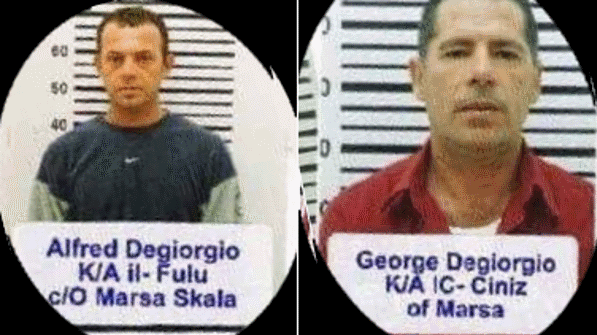 Brothers George and Alfred Degiorgio, who stand accused of Daphne Caruana Galizia's murder, have been receiving social security benefits for years, despite living a lavish lifestyle, a court heard on Thursday. The two, along with George Degiorgio's partner Anca Adelina Pop, stand accused of money laundering after the murder investigations revealed their lavish lifestyle, despite the fact they were registered as unemployed. A court last month heard they owned luxury cars and pleasure boats. They were also involved in questionable overseas payments, while huge sums of money were moved through casinos. During the continuation of the compilation of evidence against them on Thursday, a representative of the Social Security Department testified that George Degiorgio, had been receiving social benefits since 2002. He also received children's allowance for three children. Alfred Degiorgio also received social benefits and supplementary allowance. Ms Pop has never received any help from the department. George Degiorgio received social benefits as a single parent caring for children. A representative of the Inland Revenue Department said Alfred Degiorgio was tax registered while George and Ms Pop were not. During Thursday's sitting, Ms Pop’s lawyer, David Gatt filed an application for a change of her bail curfew hours. He explained that she needs to go out at 5.30am instead of 7am to be able to accompany her daughter to swimming lessons. Documents were presented to verify her request. The prosecution had no objection. Magistrate Joe Mifsud after making the necessary verifications and after consulting the Convention on Rights of Child and EU jurisprudence, agreed to vary the bail conditions so that on days of swimming lessons Ms Pop might accompany her children, leaving at 5.30am instead of 7am. Dr Gatt appeared for Adelina Pop while lawyer William Cuschieri appeared for the Degiorgio brothers.